One day in the summer of 1993, my Math professor invited me and a couple of other students, to join him for a lecture at the Weizmann Institute of Science. He promised us a fascinating lecture. A British mathematician called Andrew Wiles will outline what he claimed to be his conclusive proof to Fermat's Last Theorem. This, to us sounded a bit like science fiction. People have been trying to prove FLT ever since it was found in Fermat's notebook in 1637. Many people were lured in by its seeming simplicity, only to waste the best years of their lives in vain. Prizes were offered, careers were built and ruined, mathematicians were driven mad by their failure at finding a proof. If an integer n is greater than 2, then the equation an + bn = cn has no solutions in non-zero integers a, b, and c.
For n=2 we're looking at Pythagoras's theorem. But for n>2 FLT claims you cannot find any combination of 3 integers to fill the equation - and that's it's beauty: it's claim that a solution can never be found. This claim made in a generation that didn't even know what infinity (as a numerical concept) means and had no access to computers. "I have a truly marvelous proof of this proposition which this margin is too narrow to contain." Which would be like me saying: "I have found a really simple way to generate cold fusion and solve all of mankind's energy problems forever, but I cannot be bothered to write it down". And indeed, even today many mathematicians and historians think Fermat never had any proof and furthermore, hadn't the necessary tools to prove it in his life time. Back to my story: the biggest auditorium in the Weizmann institute was overcrowded. Despite us getting there an hour in advance, we only got standing space at the back of the room. An air of a rock concert was in the air. And as mathematicians go, you can't get anything more exciting than an age old conundrum solved in front of a crowd. 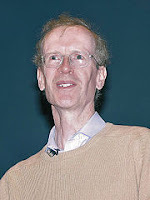 Andrew Wiles came up to the podium, and for an hour and a half went through his proof, building it meticulously, block by block, starting with number theory, advancing through various algebra fields and culminating in the field that brought him worldwide fame (and later knighthood) - Elliptic curves. I lost him after 20 minutes. My colleagues last him a bit later. Our professor, and most of the crowd - all of whom were mathematicians, grad students and advanced scientists - lost him within the first hour. I doubt if there were more than 1-2 people in the room who could follow through. Wiles's proof hit a snag a couple of months later, when later that year he found a gap in his proof. It took him another year and by the end of 1994, after dedicating more than 7 years of his life, and betting his career, Wiles's proof was officially recognized and the FLT case was closed. I would recommend learning more about FLT, and the efforts to prove it over the centuries, not for the math behind it, but to review the genius and single-mindedness people applied to this problem and to recognize that new fields and advancements in math, physics and many other sciences were discovered during this search. And here's how you'd get this knowledge: read Simon Singh's Fermat's Last Theorem (link on the left). Intended for non mathematicians, and even for people who hate math, the book is read like a fine history book. From the days of Pythagoras, through the middle ages, renaissance and modern days, the history of this amazing theorem and its predecessors is woven with the lives of people, places and states of mind. Along the way, the book will throw some quizzes at you and you'll find yourself enjoying math (sometimes despite yourself). And if you like Singh and the way he writes and describes even the most complex concepts in a clear and simple way, be sure to check out an earlier recommendation of mine, The Code Book. Any reason you are talking about it now? For anyone who would like a nice novel with mathematical edge - I strongly recommend "Uncle Petros and Goldbach's Conjecture" by Apostolos Doxiadis, which I just finished reading. Unlike Fermat's Theorem, it was not proven yet: Every even number is the sum of two prime numbers.